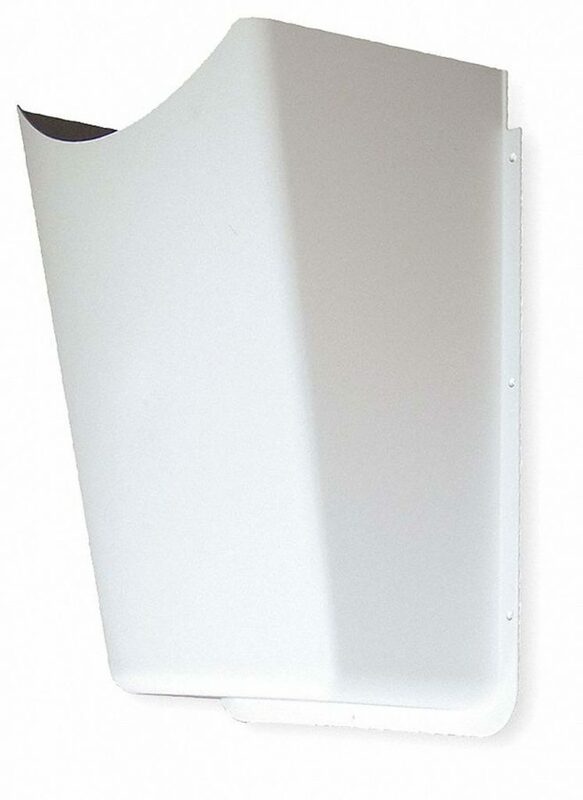 This suicide resistant trap cover is designed to cover plumbing under most conventional wall mounted sinks to prevent access to the plumbing. This unit provides ADA compliant undersink protection by meeting mandated knee and toe clearance requirements for wheelchair users. It can be ordered pre-cut or can be cut on site to fit the dimensions of the existing sink. It is fastened, with security fasteners, to blocking within the wall. It is constructed of a thick, high-impact, stain resistant polymer plastic and is available in white. It comes in a haircell finish and can be painted with acrylic enamel or latex paint.